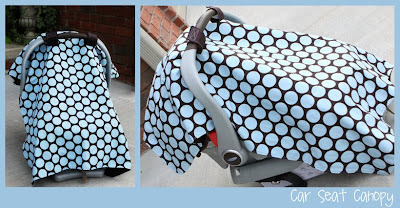 517 creations: new product added to the shop...custom car seat canopy! new product added to the shop...custom car seat canopy! Keep your precious little one covered and protected from the sun, wind, and rain when you're out and about with this darling Car Seat Canopy. The canopy measures approximately 32 x 41 inches. It is designed to securely Velcro to the car seat handles, so it won’t blow off in the wind! The Car Seat Canopy acts as a “tent” over your baby to allow for air flow. Care Instructions: Machine wash, cold, (making sure the Velcro is closed), delicate dry, or hang to dry. Iron only on the fabric - avoiding the Velcro as heat may cause it to warp or melt. The Car Seat Canopy fits all car seat models. It’s a perfect baby shower gift! Visit our shop to be one of the first to order a Custom Car Seat Canopy! LOVE it!! So cute! Wish I would have had one of those when the boys were little! If you want to do a giveaway over at WOTP, it might get you some traffic and followers!